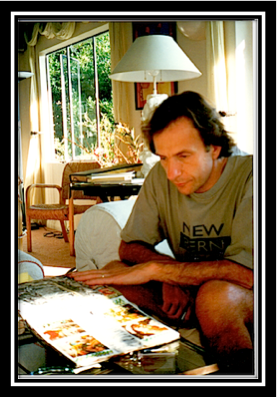 “My first contact with the life story of Dan Eldon was in April, 1996. I was en route back from New Bern, North Carolina where I had been researching The Notebook, a week spent with, (then, as yet, unpublished author), Nicholas Sparks. Since Shine‘s world premiere at Sundance in January that year, I had been inundated with offers to work from Hollywood. The Notebook, (still in galley form), was the only one I found that really appealed to me at that time. I am pretty choosy when it comes to writing projects. I also like to focus on only one project at a time. With my head brimful of notes and ideas for adapting The Notebook, I had decided not to take any meetings in LA en route back to Australia. But my agent rang and said there was a project she thought might appeal to me. A very special project. A meeting was proposed, not with a studio or producer, but with the mother of a young photographer who was killed in Somalia less than three years earlier, while on his first assignment for Reuters. Kathy Eldon lived up the street from the hotel where I was staying. She had seen Shine at a private screening for executives at Columbia Pictures. The studio had just optioned Dan Eldon’s life story. I was told Dan had created some dazzling journals that Kathy kept at her apartment on Sunset Plaza Drive. Would I like to see them at least? Even though I decided I didn’t want to take any meetings, it was just around the corner, it wouldn’t take long and by this stage, I was intrigued to know more. I ended up spending over six hours with Kathy, pouring over Dan’s seventeen journals late into the night. I was hooked, and decided there and then I would write the screenplay for the Dan Eldon Project right after I finished The Notebook. I had no idea of the amazing journey it would take me on, or the people I’d meet as a result; but in a lot of ways, it became a key part of my life over many, many years. And it still is. Dan Eldon crammed more into his twenty-two years than most people do in a lifetime. It was as if he knew his time on earth was limited. Despite the tragic circumstances of his death, I knew this could be an uplifting film – it had to be – one that celebrated Life and shoed that people can make a difference. That’s what Dan did. And he inspired everyone he came in touch with in one way or another to do the same. Now his life had touched mine. 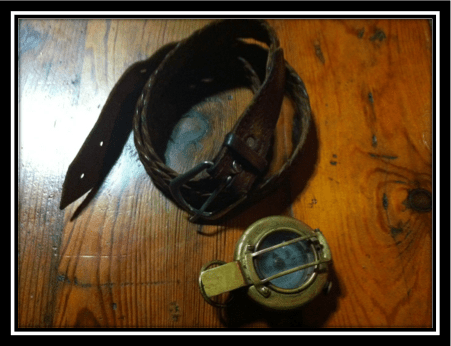 And so I set out to retrace the people and the places in Dan’s life. 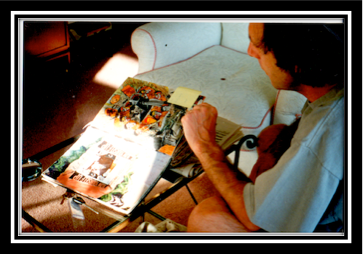 This was before the book of Dan’s journals – The Journey is the Destination – was published. Kathy had given me some research, a map of Dan’s life if you will. But I wanted to do my own research, to get a feel for the kind of person he was from those who knew him best. To go where he’d grown up, to the places where he’d lived his life. It became more than a writing assignment, it became an obsession. I met Mike Eldon, Dan’s father in Kenya where I spent hours in the Reuters’ bureau. I tracked down journalists who had been in Somalia with Dan on his first and only assignment, including Corinne Dufka. I spent time with his friends, and stayed at the house of his best mate Lengai outside of Nairobi. We went to the Carnivore, (a crazy disco), and I dined at the very elite Muthaiga Club with Mike Eldon. I gave a talk at Dan’s old school and I went on Safari. I spent an amazing afternoon with Dan’s Massai family, with the woman he called his Massai mother, Kipinget. 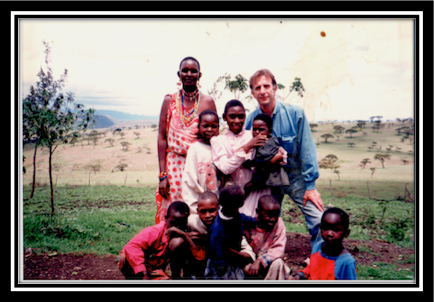 (Mike Eldon and I ended up sponsoring two Massai boys through school in honor of Dan). 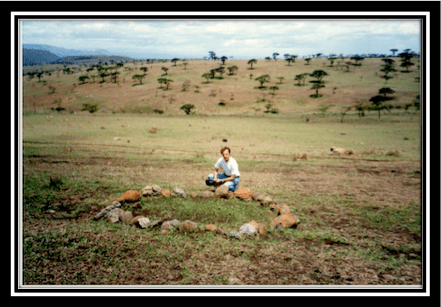 And finally, I visited the ‘circle of stones’ where Dan’s ashes are scattered, in the Rift Valley. In London, I met with Dan’s grandmother and aunt, and more friends who had been on ‘Mission Mozambique’ with Dan. I spent a harrowing couple of hours with Mohammed Shaffi. A Reuters television cameraman, ‘Mo’ was the last to speak to Dan and the only journalist who had survived of the five that went to report on the bombing of the compound in Mogadishu that fateful day. I had seen the footage Mo had taken before the mob turn don the journalists. He had been shot twice but managed to get away. A sweet, sensitive man, he was still tortured by guilt. His life was clearly devastated by what had happened and I was saddened to learn of his death a few years later. I wrote numerous drafts of The Eldon script over the next three years. then in 1999, Bronwen Hughes became attached as director and we worked together – as writer and director – to prepare the shooting script for the film we al hoped would be greenly by the studio, Columbia Pictures. But it never happened, even though the project had attracted the interest of the likes of Leonardo Di Caprio, Christian Bale and Heath Ledger, (who was yet to become a big star). Regrettably, the studio mentality was shifting from dramas like this to making monster films like Godzilla, with Spiderman waiting in the wings. The trend for big franchise and special effects films had just begun. Kathy reacquired the rights and over the years since has kept the dream of Dan’s film alive. Bronwen has played a big part in this, her life touched by the spirit of Dan Eldon like mine. I did another pass on the script in 2004 for Kathy, to try and help move the project along, but I have not been involved creatively since. I am excited and thrilled now that the project has come full circle back to me in a way that I may be involved once again, and help bring The Journey is the Destination to the screen. It is a film that just has to be made!